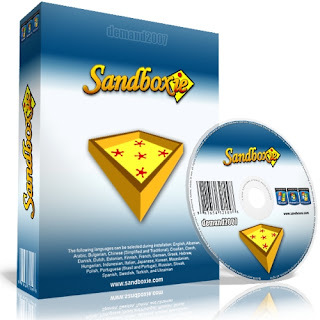 Sandboxie is a proprietary sandbox-based isolation program developed by Ronen Tzur, for 32-bit Windows NT-based operating systems. It creates a sandbox-like isolated operating environment in which applications can be run or installed without permanently modifying the local or mapped drive. An isolated virtual environment allows controlled testing of untrusted programs and web surfing. Sandboxie runs your programs in an isolated space which prevents them from making permanent changes to other programs and data in your computer.